iPhone is one of the most powerful device that you can fit into your pocket. Still, using a powerful device comes with its advantages and unique disadvantages. An iPhone user is open to face a different verity of problems, but Apple was also careful enough to introduce certain modes which will help the users to get around them. But some of the problems are so difficult that users are unable to deal with them and most of the times they have no idea how to proceed. 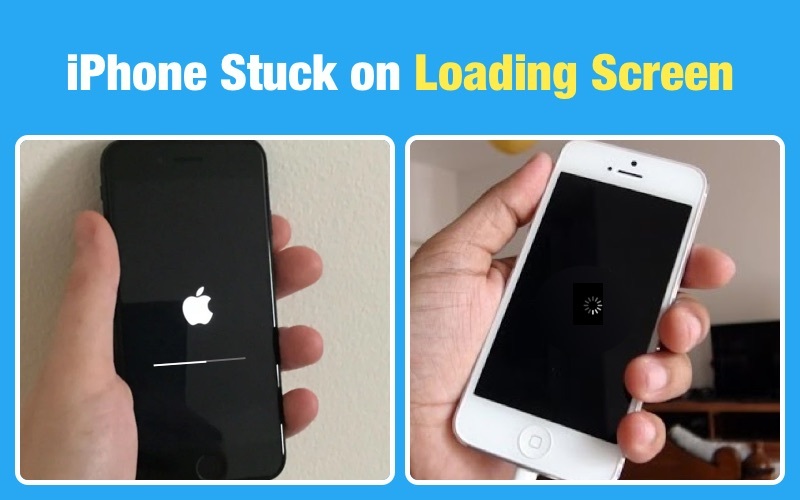 This is such a problem, when iPhone won't restart, any normal people won't have any idea how to proceed, as the device is not even responding. A few effective solutions to this problem are discussed below. If you are complaining "my iPhone won't turn on" then you need to charge the iPhone, if the device is low on charge, it can shut down. So, charge the device, if it is not charging then inspect the charging cable, figure out if it is damaged. If everything is in order then it is not a charging issue and move on to the next solution. For iPhone 6s and earlier: Hold the Power button with the Home button. The Slider will appear but ignore it, do not release the buttons until the Apple Logo appears again. For iPhone 7 and iPhone 7 Plus:You have to hold the Volume Down button with the Power button. Do not let go of them until the Apple Logo is visible. If you made the Hard Reset and still iPhone not restarting, then you can restore the device with iTunes. Restoring the device with iTunes will delete all the data from the device but there is another problem. Due to the problem with your iPhone it is quite possible that iTunes won't recognize the device, if that's the case then simply put the device into Recovery Mode before connecting it to the iTunes. iPhone 6 and the older iPhones: Just hold the Home button until you see "Connect to iTunes" on the screen. For iPhone 7 and 7 Plus: Hold the Power button with the Volume Down button until you see the "Connect to iTunes" screen. For iPhone 8 and all the later versions: Tap the Volume Up button and then the Volume Down button. Then, hold the Side button until "Connect to iTunes" screen is visible. Step 1: So, now you just have to connect the iPhone to the computer and launch the iTunes app. Step 2: iTunes will detect the device immediately and inform you that it has detected an iPhone in Recovery Mode. Step 3: The appeared dialog box will contain 2 options, one of them is "Restore". You simply need to click on that to restore the device. Step 1: This guide is pretty simple, you need to download and install ReiBoot on your computer to get started. Step 2: After that, launch the program and connect the iPhone to the computer via USB cable. Step 3: Then, select "Repair Operating System" from the main interface of ReiBoot and after that click "Start Repair" to proceed. Step 4: Then, you will be asked to download the required firmware for the procedure, choose a location and click "Download". Step 5: You have to wait for the firmware to download but when the download is complete you can click "Start Repair" to start fixing the device. It is true that the problem can be fixed using Recovery Mode but if you ReiBoot then the problem with the iOS will be fixed from its roots and you won't have to face the risk of losing your files. If any of the solutions are not working then you are probably facing a hardware issue, related to the touch screen or the battery of the device. Unfortunately, such problems can't be fixed by you at home. So, take the device to the nearest Apple Support Centre and have the professionals take a look at it. If they are able to locate the problems then they will fix it, but your device is under warranty then the service will be done for free of charge but if it is a very old device then you have to pay a large sum of money to get it fixed. Therefore, only the best and most effect methods are discussed in the article to fix an iPhone that won't restart. You are going to start by implementing simple solutions like charging the device or checking the cable, if it is okay. Then, if necessary move on to the next phase where you are going to make a Hard Reset of the device. If it fails to work then restore the device with iTunes, it will fix any issues with the iOS but also all the data will be deleted. If you are inclined to keep the data then use ReiBoot, it will fix the iOS but you get to keep the data. Finally, if all of them fails to work then take the device to the Support Centre, as you are facing a Hardware issue.